Another agency was struggling with the concept for this brochure. The message was getting lost in the current 4-page format and the design was not in line with Agilent’s brand guidelines. The project needed a new approach and a fresh perspective based on existing text, layout and illustration files Agilent provided. 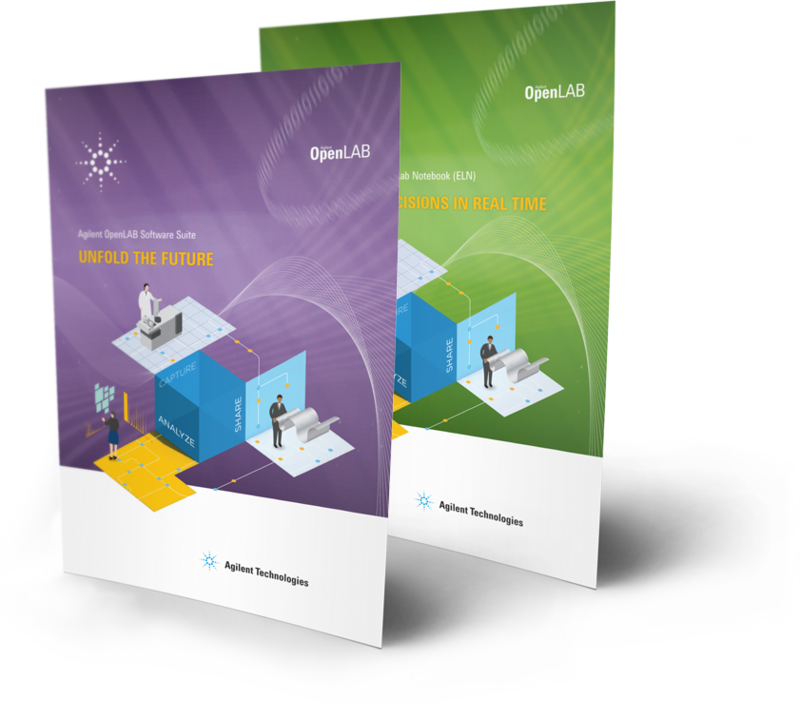 The launch of Agilent’s OpenLab offering was looming. The workflow illustrations, the messaging and the visual brand needs were not in alignment and the concepts were falling flat. Quickly sketching ideas allowed Agilent to immediately review and approve a new design direction, keeping the project running smoothly and saving time and money in the process. 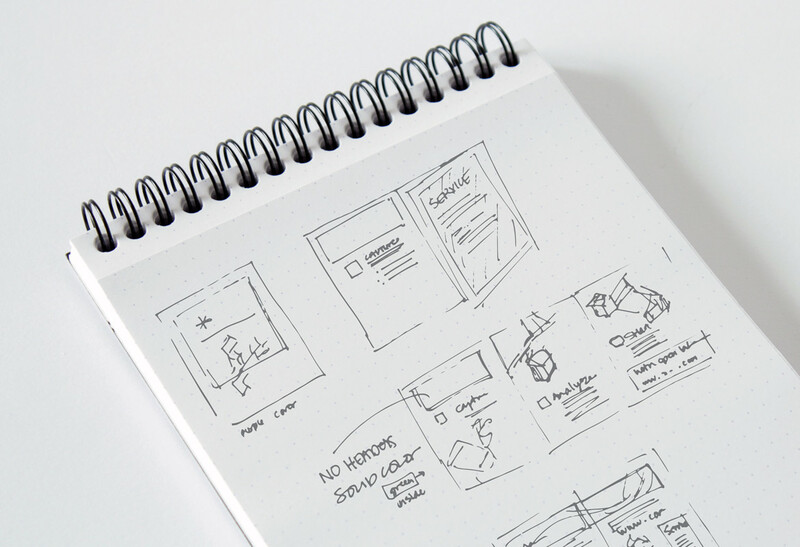 Sketching out ideas is a quick and easy way we visualize new ideas. Reviewing the content provided, it seemed the message would be stronger if we changed brochure from 4-pages to a 6-page tri-fold brochure. This approach would allow us to have a page for each message with the services message on the flap — as shown at the top of the drawing above. 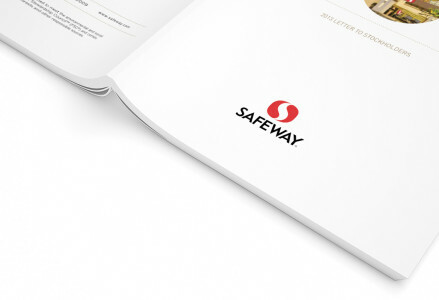 The bottom of the drawing shows the new direction — keeping the brochure at 4-pages. We lead customers to solutions by presenting original requests and creative options. With the green light to design a tri-fold option, we suggested edits to the existing copy deck to better flow with the new design. With more room for copy, Agilent was able to craft a stronger, more impactful message by adding headline copy at the top of each page; they were also able to expand their service page — adding their three main messages and specific bullet points. Lastly, we reviewed the printer’s proof so there were no surprises in the final printed piece. This was especially important here, since we did not produce the illustration and oftentimes the files have color and transparency problems that just can’t be seen on screen. This was true for this brochure, which had some minor glitches that could easily be fixed. The large flat proof in the background is for color mark-up and shows how the job will print on an off-set printing press. 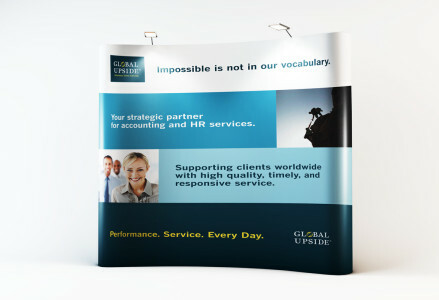 In this case, one large sheet of paper printing both sides at the same time, then flipped over and printed again. The folded purple brochure on top of the color proof is called a blueline proof and is to check trim, page order and folding. This proof is called a blueline because before digital printing technology, this proof was all blue. 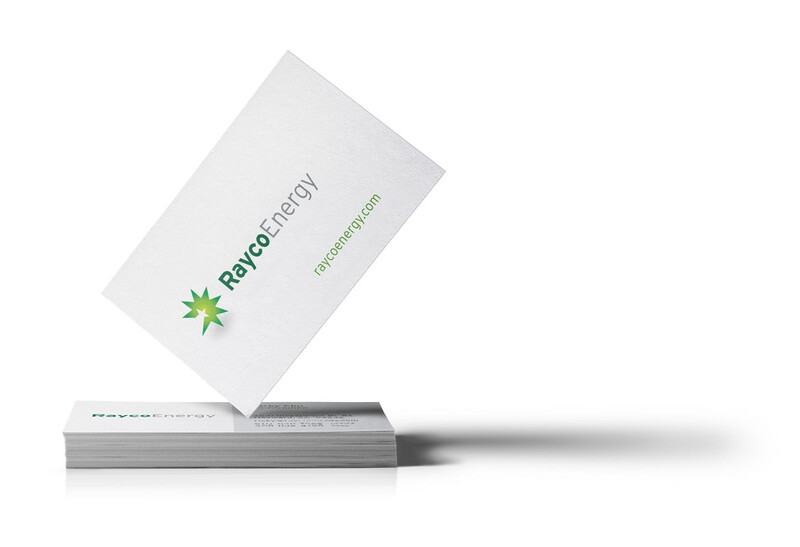 Wendy has been a valuable asset to our external design resources. She is completely reliable and always follows through with her detailed work. 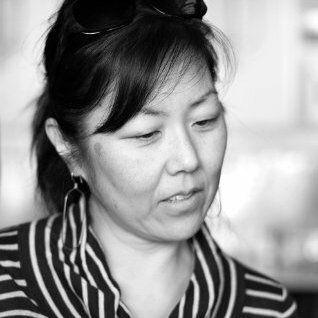 Through the process, Wendy is collaborative and communicative on what she delivers and always meets her deadlines. 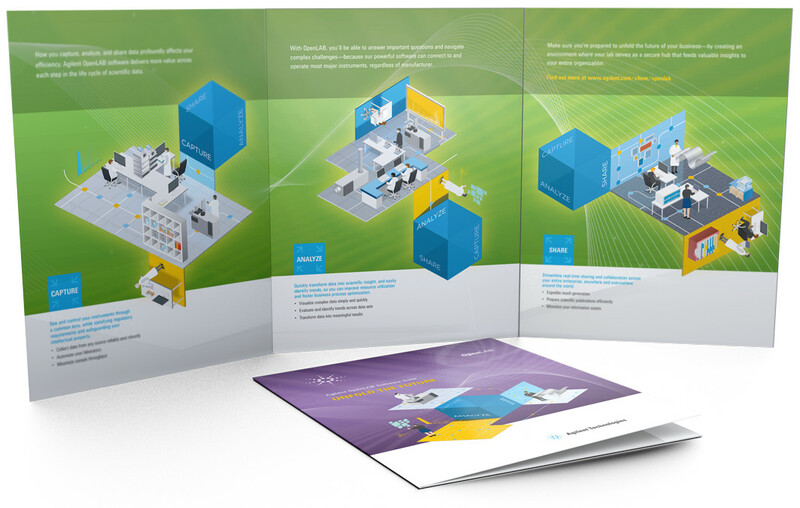 Agilent loved the new, sketched direction immediately and asked us to design the companion brochure. The sketching process saved time and gave Agilent assurance in our creative partnership. Appreciating each other's ideas and perspectives increased the value of our relationship and continues to produce a win/win every time. 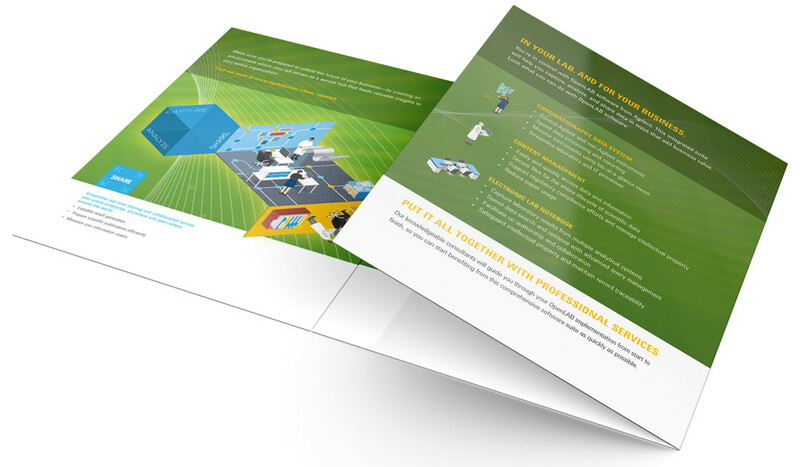 Floods of color across the entire spread was a fresh approach for the Agilent brand collateral. It created an impactful story and let the illustrations shine. 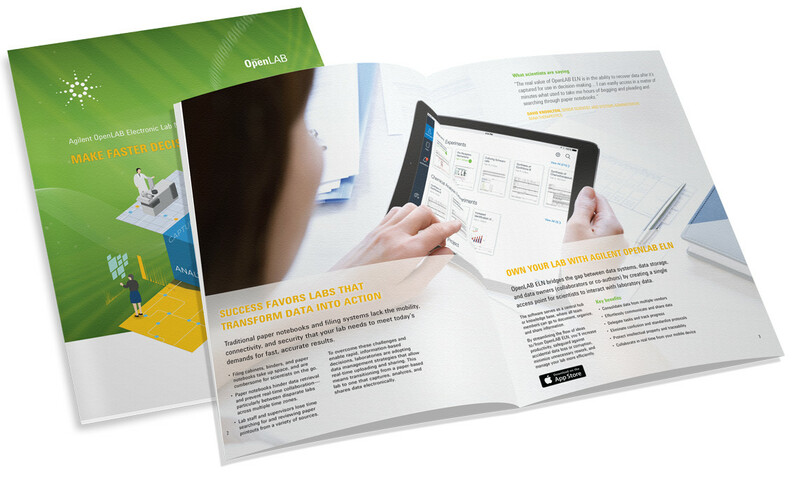 On approval of the initial OpenLab designs, we were asked to develop this 8-page companion brochure, focusing on the OpenLab work flow and the benefits for downloading the App. Need a fresh approach? Let’s Talk!